Online: Join Dr Oliver Escobar for a webinar about what needs to happen to ensure that the mainstreaming of PB simultaneously carves out space for more complex participatory and deliberative processes in local government decision-making. Organised by What Works Scotland. Edinburgh: Join us to have your say on a charter for participatory budgeting (PB), contribute your ideas on how we keep hold of PB that empowers communities across Scotland. Edinburgh: Come and share your ideas and experiences about how participatory budgeting (PB) can be part of creating a more local democracy in Scotland. 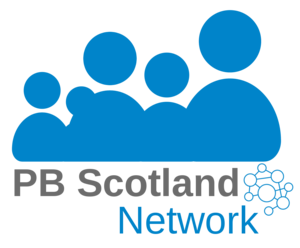 Stirling: These workshops will offer an informal, relaxed opportunity to share your experiences of, and enthusiasm for PB.